Latest Digital Info Blog: Round the OneWorld Challenge Completed! 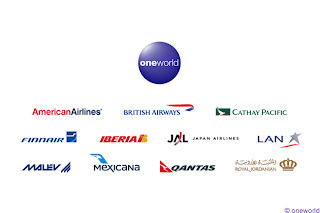 You may remember I wrote about a challenge that was being undertaken by British Airways’ Richard Tams, and Emerald top tier frequent flier Andrew Solum which would see them circumnavigate the globe and travel on every oneworld member airline. Well, the guys have done it! Not only did they make every flight and airline, but they also more than reached their target of raising £20,000 for the Comic Relief Flying Start charity. Such a fantastic achievement, and I know they send their thanks to everyone who donated. Their trip started and ended in New York, with countries visited including Japan, Hong Kong, Malaysia, Spain, Russia, Jordan, United Kingdom, Finland and Germany.